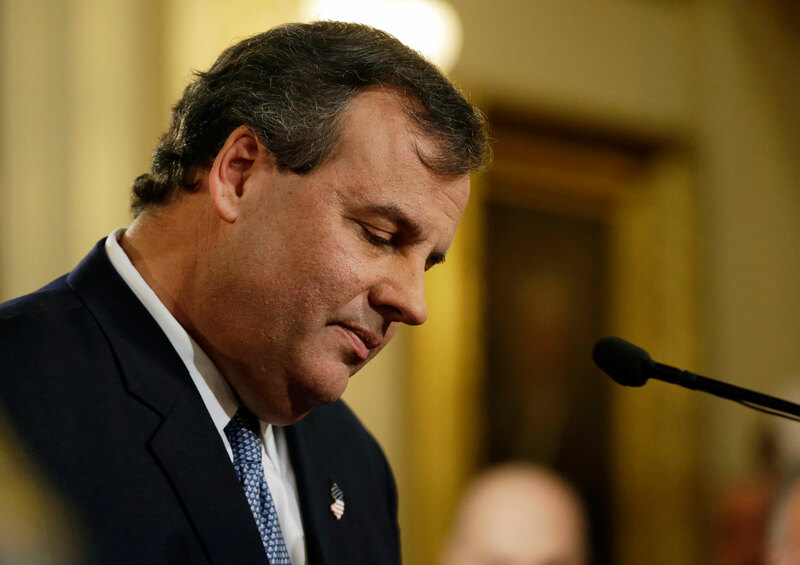 Christie’s former top political aide and the governor’s spokesman dispute each other’s recollections. This past January, when Governor Chris Christie fired Bill Stepien, his former campaign manager and top political aide, many wondered why. Following Christie’s November 2013 re-election, Stepien was tapped by Christie to lead the New Jersey GOP and to serve as a leading consultant to the Republican Governors Association, which Christie heads—and which the governor intended to use as his platform for his 2016 presidential bid. So why was Stepien fired? He wasn’t directly implicated in the lane-closing scandal at the George Washington Bridge—at least not by the e-mails released in January—but he was ousted anyway, along with Bridget Anne Kelly, the author of the infamous “time for some traffic problems in Fort Lee” e-mail to David Wildstein, a top official at the Port Authority. But Stepien may hold the key to finding out whether and how the governor was involved—or not—in the decision to close the lanes and then perhaps to cover it up afterwards. That’s why Stepien’s decision this week to respond to Christie and to his chief spokesman, Michael Drewniak—who testified in front of the legislative committee investigating Bridgegate on May 13—is important. In a letter he released this week, Stepien’s lawyer stopped just short of accusing the governor of lying last year, when Christie told reporters at a press briefing on December 13, 2013, that his senior staff had no prior knowledge of the lane closures on the George Washington Bridge. The truth, according to Stepien’s lawyer Kevin Marino, is that Stepien admitted to Christie the day before that press briefing that he had discussed the lane closure idea before it happened with Wildstein, the Port Authority official who shut down the bridge lanes. The accusation by Stepien’s lawyer, Kevin Marino, doesn’t add to the public knowledge of whether Christie himself had anything to do with the lane closures. But if it’s true that Christie “misspoke” to reporters, as Marino put it delicately to the Bergen Record, it at least raises the question of whether Christie was engaged in a cover-up designed to minimize political fallout. Stepien’s accusations followed on the heels of testimony the day before from Drewniak, Christie’s press spokesman, to the New Jersey legislative panel investigating the bridge scandal. On May 13 Drewniak told legislators that the governor’s senior staff knew last fall that Stepien and Christie’s deputy chief of staff Bridget Kelly may have had advance knowledge of the lane closings. Drewniak testified he personally told the governor’s chief counsel, Charlie McKenna, in late October or early November that might be the case. Drewniak said he was told by David Wildstein that both Kelly and Stepien knew about the lane closures before they occurred. McKenna, according to Drewniak, said he was already aware of the accusation. This information “was in the bloodstream of the administration,” as Drewniak put it, when he went to talk with McKenna, telling legislators that’s why he didn’t need to bring it up again later with senior staff. At the time Wisniewski was investigating the issue in the transportation committee under authority he had to look into toll hikes and other issues at the Port Authority. The letter released by Stepien’s lawyer was written in April to Randy Mastro, the lawyer hired by Governor Christie to investigate the lane closures, and demanded that Mastro retract key statements in the report he issued in March. The report was widely discredited as a whitewash designed to exonerate Christie and allow him to renew efforts to become a leading presidential contender. It lays the blame for Bridgegate at the feet of Wildstein and Bridget Kelly but also stated that Stepien lied about having prior knowledge about the lane closures. Stepien’s lawyer said he was making the April letter public because Mastro had not acted on his request. The Governor, having been “assured” that his senior staff and Stepien had no involvement, told the press that day that none of them had any prior knowledge of the lane realignment. … The Governor and his senior staff accepted Kelly’s and Stepien’s assurances, which were later revealed to be false. Marino argued that Stepien had nothing to do with “the origination, planning, execution, or concealment,” of Bridgegate, and criticized Mastro for tarnishing Stepien’s reputation. He claimed the report’s false accusations are unfairly being used to justify Stepien’s ouster as head of the New Jersey GOP and from acting as a top consultant to the Republican Governor’s Association. According to Tuesday’s testimony from Michael Drewniak, the governor’s pugilistic press secretary, Christie wondered aloud during a Dec. 5 meeting whether Stepien was deceiving him by hiding what he knew of the lane closures. “I always wondered if Stepien knew more about this,” the governor said, according to Drewniak. That revelation is potentially damaging to the governor. For one, he claimed unequivocally during a Dec. 13 press conference that no one in his inner circle knew about the lane closures. Drewniak’s testimony indicates that the governor had his suspicions, but decided to keep them secret. It is also revealing, and a bit revolting, to note that Drewniak watched the governor make this misleading statement without making a peep. Yes, what did he know, and when did he know it?